Dazed and confused would pretty much be the most accurate way to describe my hair's overall demeanor the past couple of years. Honestly, I can hardly blame my strands' bewilderment. After all, it took a healthy 22 years for my hair to begrudgingly adapt to the freezing, bone-dry winters of Minnesota, followed by my home state's hot, humid AF summers. Then, being the mischievous person I am, I went and moved across the country, completely turning my hair's accustomed environment upside down. I settled into life as a San Franciscan for roughly one year (which for the most part felt cold and wet) before moving to sunny and temperate L.A—always warm, never too humid, never too dry, just right. I'm still based in L.A., and to say my hair loves the affable environment would be an understatement. My strands have never looked better or had superior health than when I'm in this city—something I even noticed during the three months I interned here back when I was in college. Alas, much to my hair's chagrin, I frequently stir the pot by making impromptu visits to Tucson, Arizona (aka the Sonoran Desert) where my parents recently retired, and back to the extreme conditions of Minnesota where my sister and her family are still settled. Therefore, my hair's cortisol levels are constantly pushed into overdrive, desperately attempting adaptation to whichever environment I've decided to plop them in. For the most part, I can pretty much maintain the same hair routine whether I am in California or Minnesota (don't ask me why), but when it comes to the desert conditions of Arizona, my strands throw their ends up in protest. Almost instantaneously, they become dry, brittle, dull, and devoid of any texture or bounce I've been able to create in other climates. Visit by visit, however, I've slowly been able to curate a new hair routine to help ease the transition and to create a head of hair I feel I comfortable going out in public with. So I thought I would share! Ahead, 13 of the best moisturizing hair products to try if you live in arid conditions. Another perk? Many can be found at the drugstore and/or are available in TSA-friendly sizes. Keep scrolling! If my hair is suffering from extra dryness like when I'm visiting my parents just north of the Mexican border, I like to drench my strands in the stuff, let it marinate in a high bun for roughly 10 to 15 minutes, and then rinse it out thoroughly before getting on with the rest of my routine. My strands are left so velvety that I don't really need to apply a detangler, leave-in, oil, or shine spray thereafter. Of course, as a product junkie, I do anyway. Celebrity colorist Cassondra Kaeding first introduced me to this dynamic duo, and I've kept matching bottles in the bathroom at my parents' house ever since. Not only is it easy on the bank account and easy to snap up virtually anywhere you are (gotta love a good drugstore find! ), but it also does a supreme job of moisturizing my dry, dehydrated strands whenever I'm in an arid climate that has my hair begging for moisture. Because my head usually harbors a hearty supply of dry shampoo, styling products, oil, and the like by the time I sud up, I like to do a double wash. 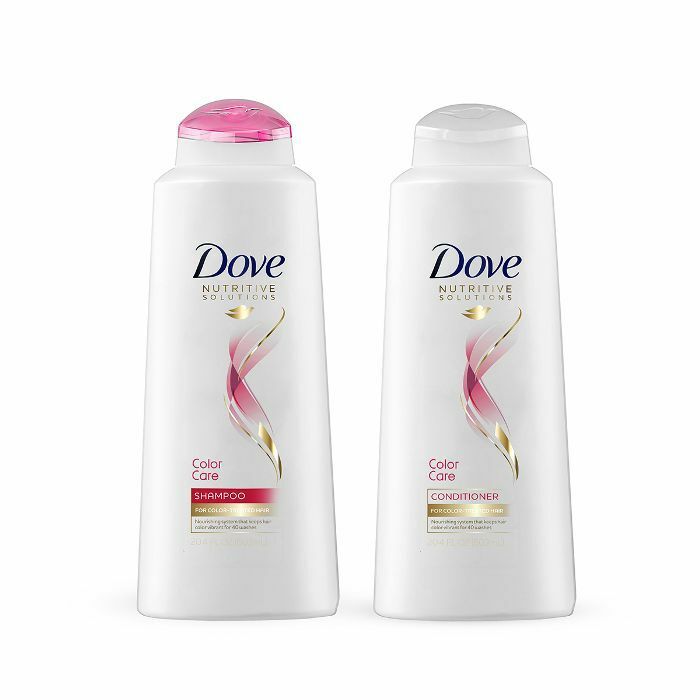 This Dove formula gets my hair clean in a jiff and also keeps my color intact and hydration levels supple and sufficient. 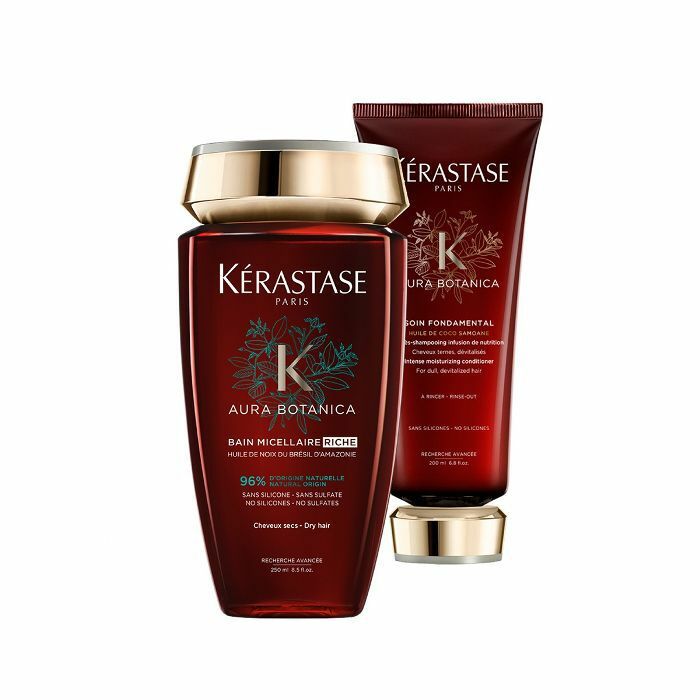 Being the hair product snob I've always been (hey, I'm growing out of it), I've used and loved Kérastase's collection of hair elixirs since I first spied its formulas on the pages of glossy beauty magazines back in high school. I've loved virtually every product I've ever tried, but when my moisture-starved strands met this new sulfate-free shampoo for dry and fine hair types, it felt like destiny. With potent natural actives at its strategic and effective center, post-shampoo my hair is left feeling light (never weighed down or greasy like many hydrating formulas), voluminous, and impeccably nourished. It's become my new P.I.C. whenever I find myself in Arizona over the holidays. I'm not sure when it became a habit, but I've added a few helping spoonfuls of clear, nutrient-packed oil to wet strands post-shower for as long as I can remember. I'm convinced it helps with my detangling and shine efforts. Thus, when I found myself without my usual go-to last year during the holidays in Arizona, I was in a state. Luckily, my mom is more of a product hoarder than I am, and after a quick scan of her stockpile, I discovered this beauty from OGX. So why do I love it? 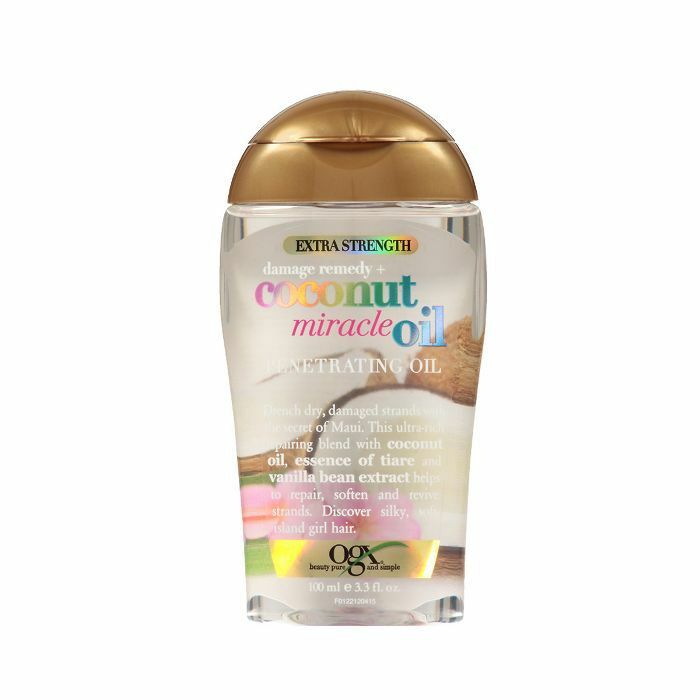 It's affordable, you can find it at the drugstore easily, and it contains an excellent melding of nourishing oils sure to save even the driest and ravaged of strands. It also smells delicious—like coconut and vanilla—if you care. Looking for another awesome option? Assistant editor Maya Allen swears by this argan-infused hydrating oil to keep her natural texture quenched and nourished whenever she's in dry climates. It absorbs instantly, leaving behind brilliant shine in its wake. Again, your wallet will love you for it. Topped off with sunflower seed extract (hello, omegas! ), green tea leaf (and you, antioxidants! 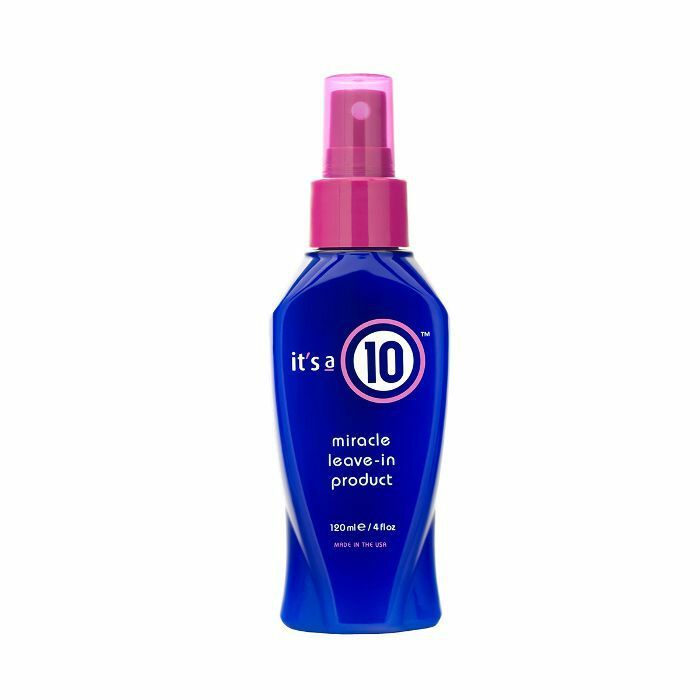 ), silk amino acids, and vitamin C, this cult-loved leave-in is one of the saving-grace products that singlehandedly saved my strands after they were practically bleached off my head a few years ago. It's one of the few leave-ins that truly does it all (moisturizes, detangles, imparts shine and all the heat protection), and I make sure to bring a travel size with me wherever I go. This is in addition to the full-size bottle I keep stashed in my Arizona bathroom. I hate packing more than almost anything in life, and since I know my mom has plenty of beauty products waiting for me in Arizona, I usually leave all my usual must-haves at home in order to save time, checked bags, and energy. I'm lazy. Plus, there's just something exciting about going completely rogue, raiding my mom's collection, and discovering new alternatives to my old standbys—which is exactly how I discovered this moisturizing formula from Oribe a couple of years ago around Christmastime. Whenever I venture into dry temperatures, what little natural wave I have instantly deflates. I actually love humidity since it makes my natural hair so much better. 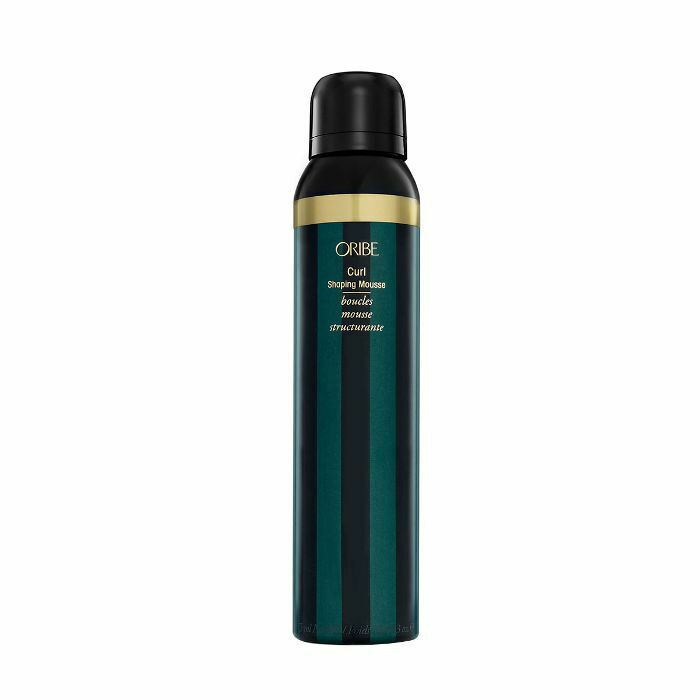 Therefore, when in the desert conditions of Tucson, my limp strands need a helping hand, which comes at the mercy of this curl-shaping mousse from Oribe. 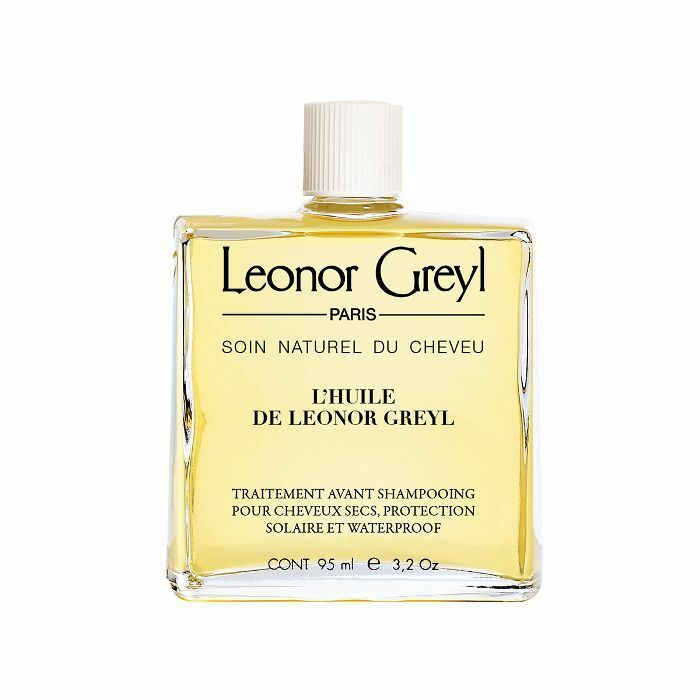 It smells intoxicatingly good, gives my hair the perfect, featherlight waves, and is great for days when I just want to let my strands air-dry, which is most days. Are you sick of hearing me talk about the greatness of this masterpiece from IGK yet? I hope not, because I won't be done talking about it for a long, long time. Not only does a thorough spritz help detangle my hair and feed my thirsty strands with shine and hydration, but it also cuts my air-dry time by about half. 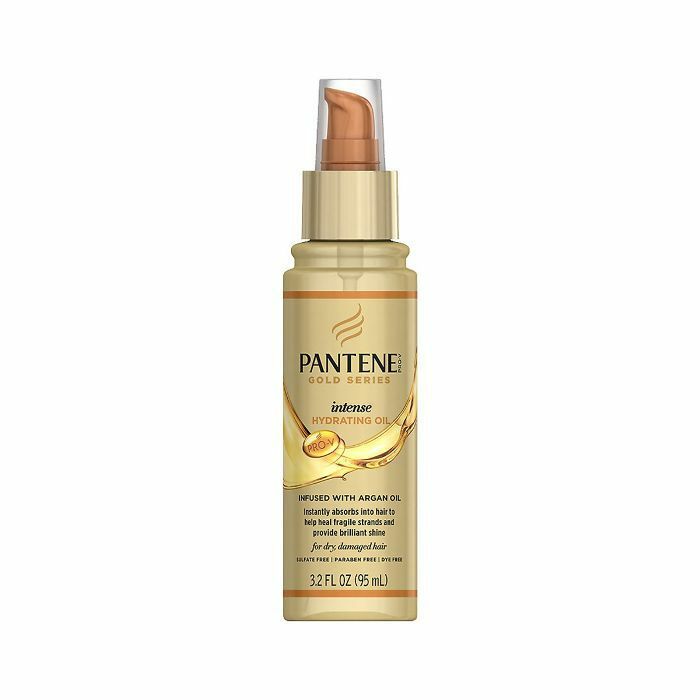 For someone like me who avoids heat styling whenever possible but also hates walking around with wet hair for hours at a time, this is a godsend. If the brand ever stops making it, my hair and I will be in an overly parched tizzy. 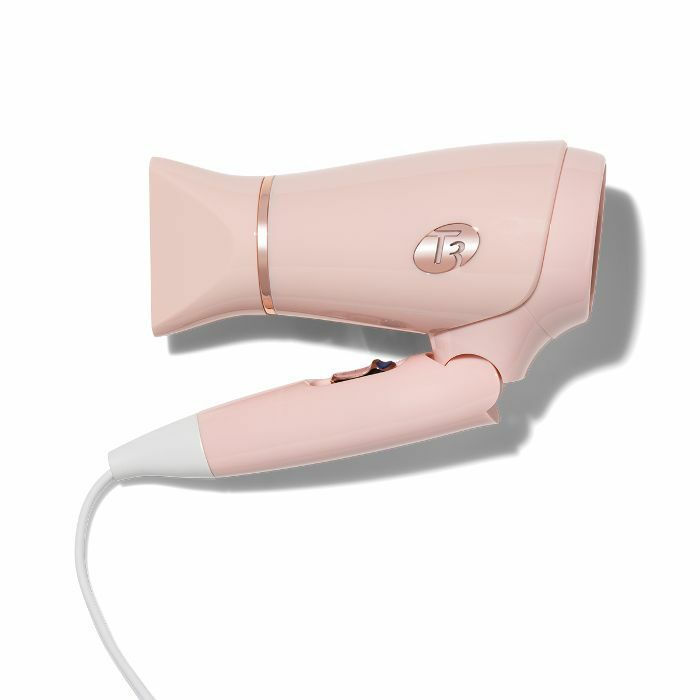 I'm not sure if this is uncouth of me to admit as a beauty editor, but when it comes to hair tools, anything from T3 is my gold standard. Ever since I've fully converted to the brand's irons and dryers, my hair has gotten so much healthier (sounds like an oxymoron, no? ), and I'm convinced it has to do with the brand's commitment to quality and hair health. As I said, I try to let my hair air-dry whenever possible, but when I'm on the road in super-dry and hot temperatures, I keep this cult-favorite folding dryer on hand. It's featherlight, and the new rose hue is about as millennially perfect and Instagrammable as it gets. Just snap it up quick, as the color is limited-edition just in time for the holidays! While many dry shampoos often leave my hair dry and brittle—to the point where it's actually cracked off at night—this beloved oil-absorbing mist from Amika doesn't. Therefore, it's been a mainstay in my luggage and Arizona-curated collection of hair stuffs for years now. A relatively new discovery on the dry-shampoo front, this option from Bumble and Bumble is one of the best options if you live in a dry climate but yearn for hydrated strands sans grease and oil. It's smartly designed for all hair types, banishes oil while nourishing roots, and protects strands against the sun thanks to UV filters. In other words, it's perfect for those who live in the desert, whether it's just for the holidays or all year round. 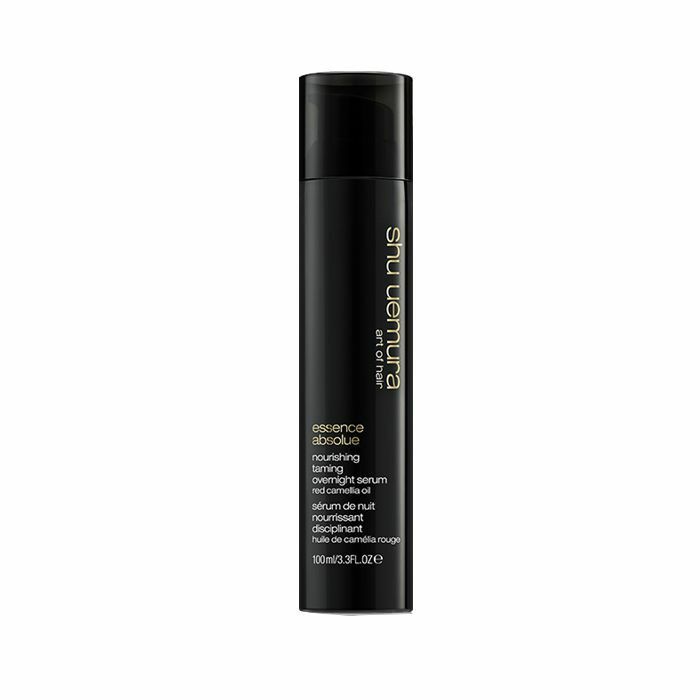 When I asked my fellow Byrdie editors for their top hair picks pertaining to dry and desert-like conditions, senior editor Hallie Gould mentioned this new debut from the Shu Uemura hair gods straight away. Simply apply the fast-absorbing, pillow-safe formula to dry or damp hair pre-sleep, and wake up to healthier, far more lustrous strands. Nope, you don't have to wash it out! According to both Hallie and the brand, it repairs hair during the wee hours while you log precious beauty sleep, imparting smoothness to a achieve a "supple glow." A unanimous Team Byrdie favorite, these large, pure-silk scrunchies maintain your hair's smoothness in every condition and climate. I take them with me wherever I go, and I'm convinced my strands love them all the more whenever I enter the dry and decrepit desert status of my parents' home in Arizona.